This new grocery store in the eastern suburb of Bondurant has an interesting story behind it. 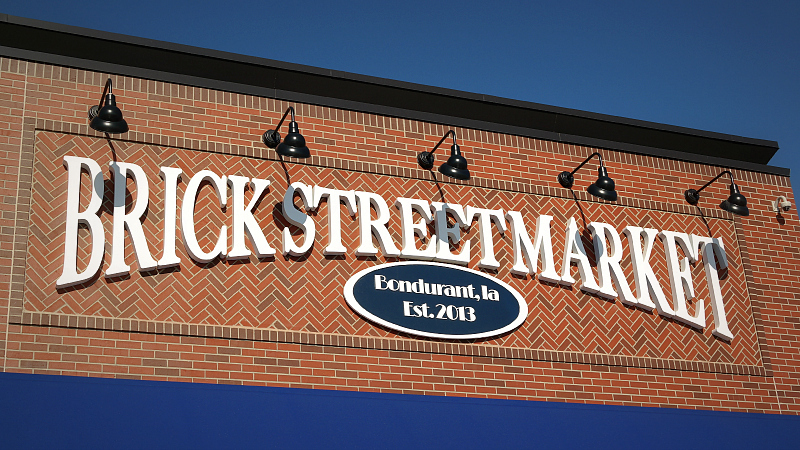 You can read about the owners of the Brick St Market by doing a google search for "Bondurant Lottery Winners". Its always nice to see people investing in their communities, and they are taking a big risk by building this grocery store here. 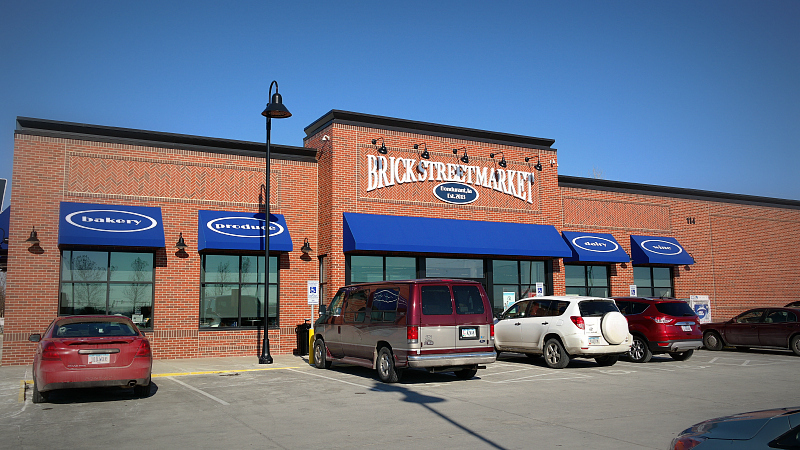 Brick St. Market actually isn't the only restaurant in the Des Moines area where lottery winners invested their winnings into their business. Location: 114 Brick St SE in Bondurant, just north and east of Des Moines. Directions: Just follow Hubbell Avenue out of town until it turns into Highway 65, Brick St is just on the edge of Bondurant. 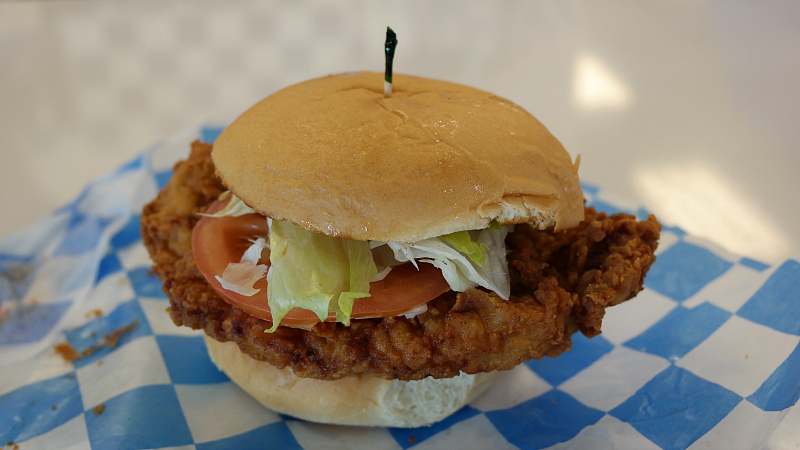 The Tenderloin: The local newspaper article claims the loin meat is softened with a tenderizing machine, and specifically states there is no pounding. The result is a very thick piece of consistently soft pork. The small layer of batter-like breading has a heavy dose of seasoning salt and a touch of pepper and maybe a little bit of something else. The bun seemed to be cut by hand, and while well toasted, the top was a little smaller than the base and things like proportions and ratios are important to me. 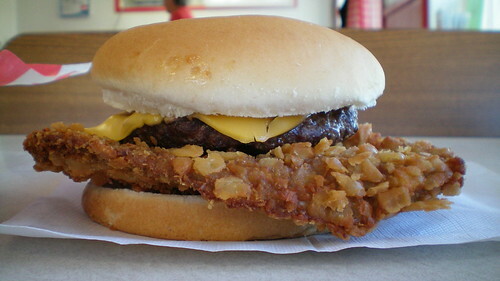 Served with your choice of LTOP, overall 8.5 out of ten. 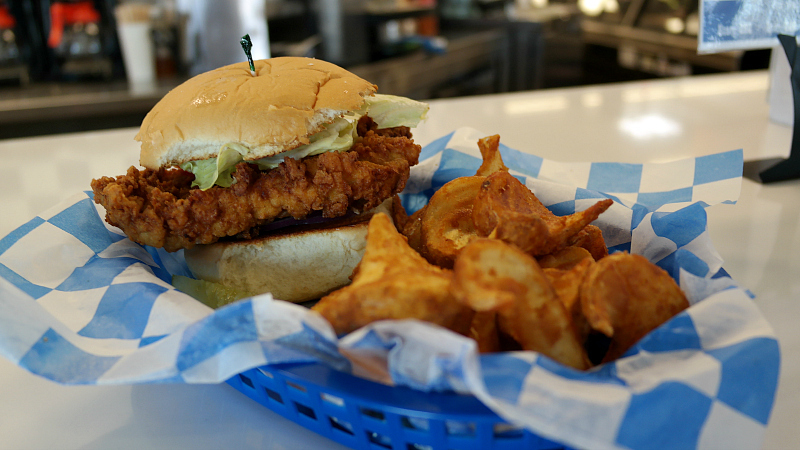 Also on the menu: The cafe has a huge menu including breakfast, ice cream, burgers, deli sandwiches and a salad bar. Service: The service on the day I stopped in seemed to be backed up by a huge group of locals who all arrived at once and sat together and ordered the same thing. Ambiance: This is a newly built grocery store with a cafe area that includes a counter, booths, and tables for seating. The color scheme on the store and the baskets reminds me of Culver's. 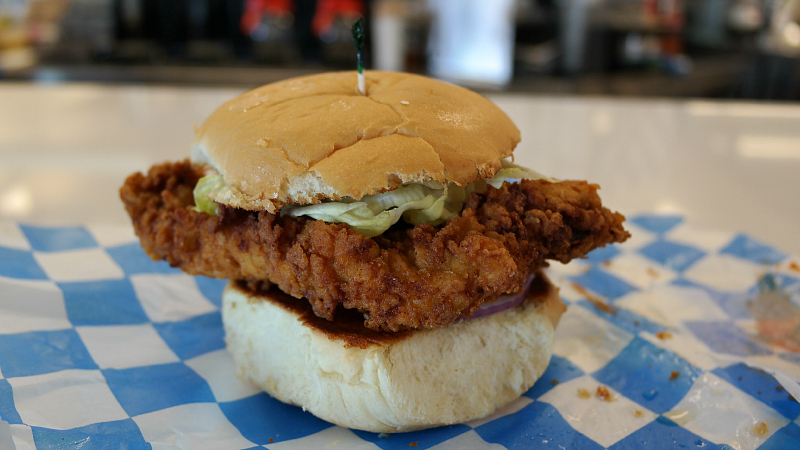 Final Thoughts: This is as close as you can get to a small town award worthy tenderloin in the Des Moines area. They seem to be selling quite a few of these.